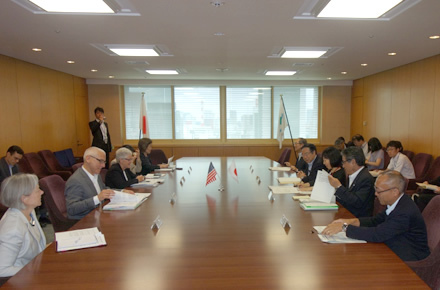 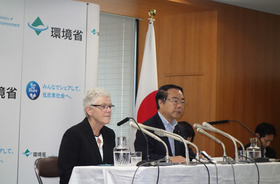 Administrator McCarthy and Minister Mochizuki met in Tokyo, Japan for the high-level bilateral dialogue about mercury , climate change and other environmental issues, and they confirmed the future cooperation to enhance bilateral environmental projects, and to exchange information among working-level officials. 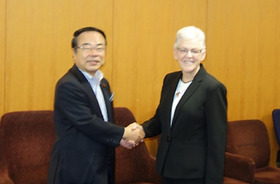 Minister Mochizuki shook hands with Administrator McCarthy before the Environmental Policy Dialogue. 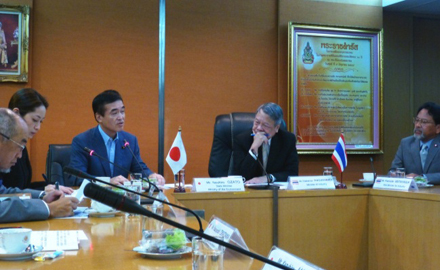 Mr. Yasuhiro Ozato, the State Minister of the Environment, affirmed that Japan and Thailand will strengthen environmental cooperation 3R promotion and waste management & recycling during the meetings with H.E. Mr. Chakramon, the Minister of Industry, Thailand, and H.E. 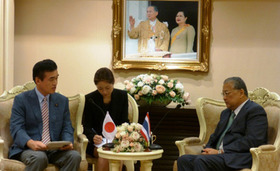 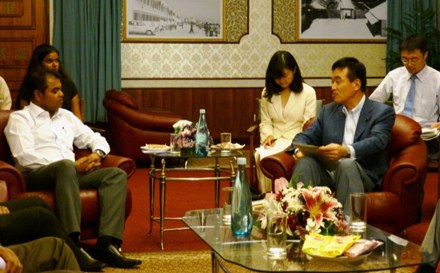 Mr. Sukhumbhand, the Governor of Bangkok. 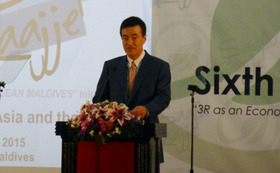 Mr. Yasuhiro Ozato, the State Minister of the Environment, attended the Sixth Regional 3R Forum in Asia and the Pacific, which was held in Malé, Maldives. 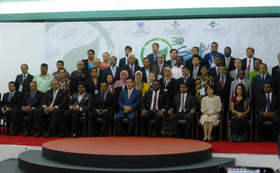 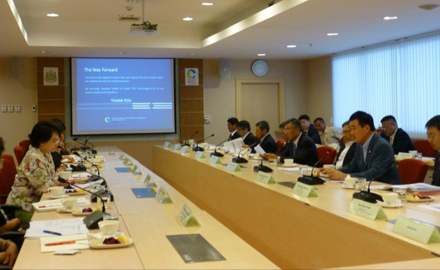 A diversity of participants took part in the forum toward promoting 3R and establishing a society with sound material cycles in the Asian and Pacific countries.